We paid Php1500 for the boat that toured us around, brought us to Quezon Island (the most commercialized out of 100+) and picked us up so we could go back to reality. It's big and sturdy enough to hold around 20 people. The manong bankero was also kind to inform me (his most inquisitive passenger, btw) of what the islands are known for. Turtle Island because it's shaped like a turtle; Crocodile Island because it's shaped like a croc; Bat Island because that's where thousands of bats live; Children's Island because it's small (most well-thought name noh?! ); but he didn't tell me there was an EMPI ISLAND there. The island looks like a floating bottle of Emperador. Hehe. #imbento (no photo though). It was a great experience; except for 1) the population of Quezon Island's vacationers during weekends, 2) my burnt shoulders that Beach Hut didn't cover up well, 3) the 100-peso payment for the 5 gallons of non-salty water you can use if you will take a bath, 4) one fresh buko juice costs Php100; and 5) the sleeping bats in Bat Island, which were supposed to show off. I'm 28 and it was my first time there so the complaints observations I made were very petty. I only knew about Hundred Islands during HEKASI class in gradeschool and now, I actually stepped on it. I think if there were less people, the trip was close to perfection. What made my Saturday super worthwhile was that I saw how happy my little traveler was. Her pink Dora life vest helped her swim without my assistance. It's Php149 only! Her independence and enjoyment were affordable, in fairness. She didn't complain about having burnt skin. It was her tired legs that made her sleep for 14 straight hours! She woke up the next day telling me and her pop about the beach that she dreamed about. Cuteness. R and I promised that we will travel to different places more whenever we can. And now that our preschooler is beginning to appreciate what her innocent eyes can see, every trip we make should be worth for her to remember. 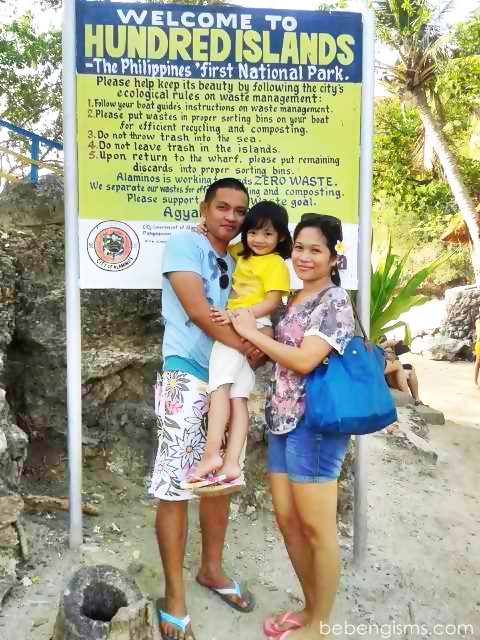 I hope these photos could help her reminisce this experience once she gets to study Hundred Islands in school. *photos taken using a Samsung S3 Mini, Samsung ST66 and iPhone 4s. I've been meaning to visit this place kaso KJ ng asawa ko. Ilang beses na kasi siya nakapunta dito since taga Pangasinan sila. Hopefully maconvince ko din siya. Ay sayang hindi naglilipad yung bats? Natakot ako nun kase anlalaki nila. If I remember it right our tourist guide mentioned na meron daw jan isang island na meron iba't ibang klaseng birds. At meron na rin bayad ang pang banlaw? wala yan dati grabe naman. Now that's the cutest little mermaid in a pink vest! Looks like you all had fun. Yes, you should travel more. I love your lunch fare! Bagay sa beach outing. Hundred Islands is a real nice place and though I've been here several times, still I would like to keep coming back. Glad your family enjoy the trip. 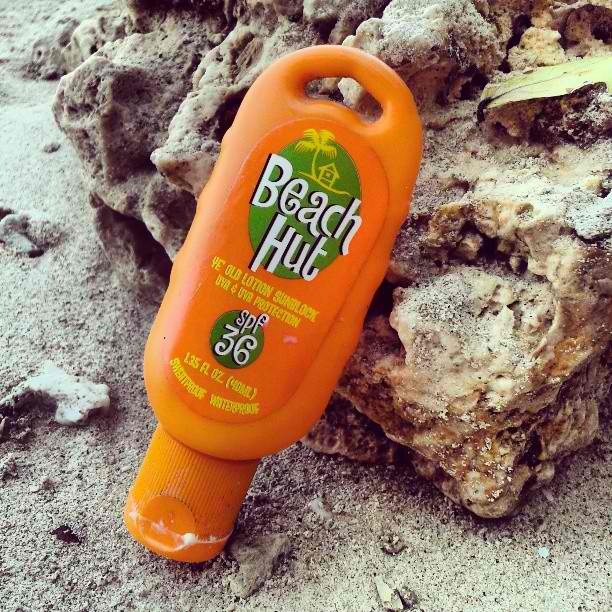 I use banana boat sunscreen for my little one and I use it as well. Effective medyo mahaley lang :) tip for your next trip!